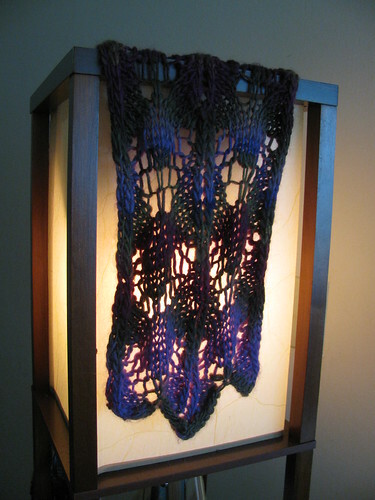 I heard about Susanna IC's Wings of Desire scarf in the All Weights Lace group on Ravelry. 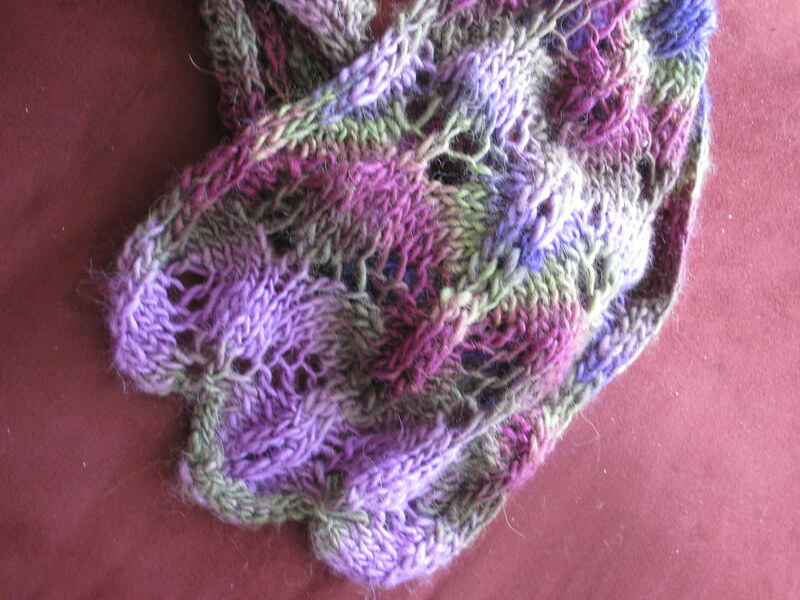 It was designed to show off self-striping yarns and it totally succeeds in that. 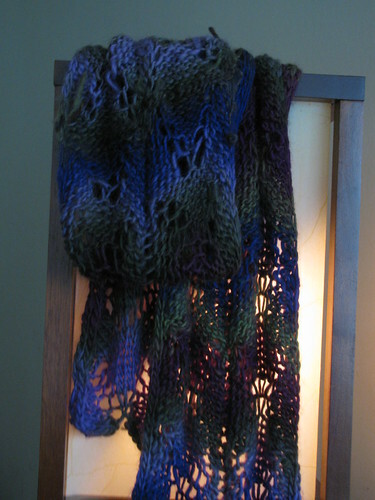 The yarn is Mochi Plus, which is a washable wool nylon blend. It also turned out to bleed a smidge. 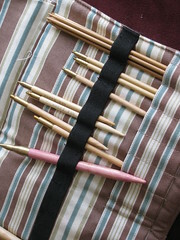 It was subtle, my hands didn't turn crazy colors, but I thought my needles looked a little darker. 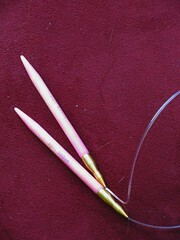 Can you tell which ones I used? The end result was worth it though.